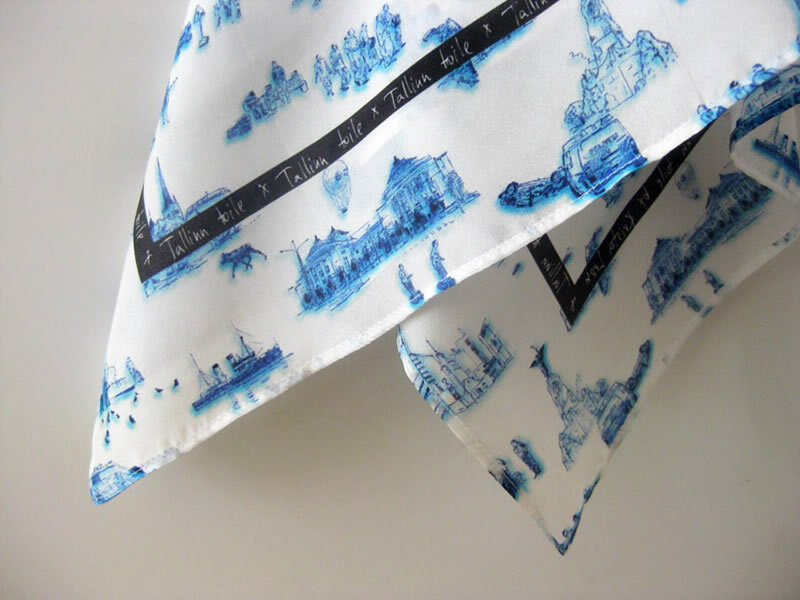 TALLINN TOILE is an experiment based on game rules of the historical French fabric printing style toile de jouy. 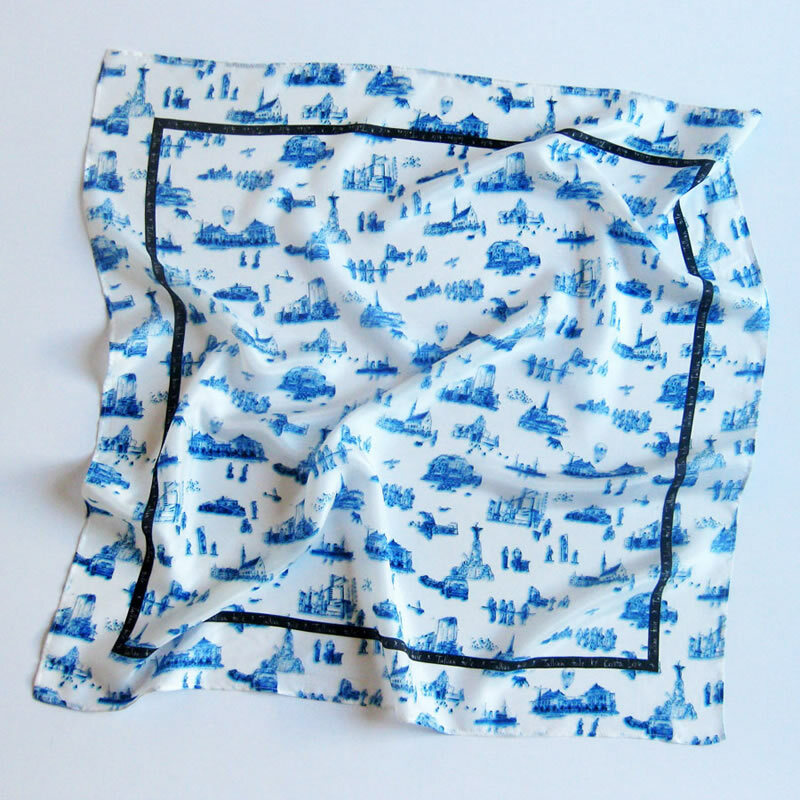 The topical pattern in blue-white flag tones of the capital of Estonia depicts different architectural motifs and scenes of city life. A keen observer may notice hints to current topics and social problems in city life.